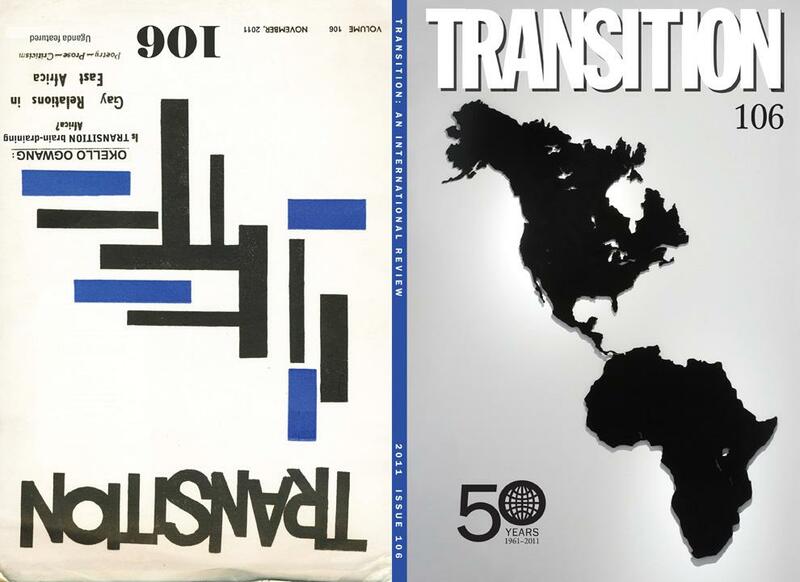 Transition 106, forthcoming this fall, is our 50th Anniversary Issue. We celebrate Transition's storied history and our founding in Uganda in 1961 by Rajat Neogy, joyfully invoking familiar names: Wole Soyinka, Paul Theroux, Ali Mazrui, F. Abiola Irele, Ilan Stavans, and Michael Vazquez. But the purpose of this special issue is not to tell a seamless story about Transition's journey from Africa to the Diaspora. On the contrary, we are especially interested in the moments when the seams rip and the patterns change. It is in these gaps that we find the unresolved questions that continue to drive the magazine today, and that necessitate further exploration. Contemporary writing, photography and artwork from Uganda are also featured, with a foreword by Elizabeth Palchik Allen.